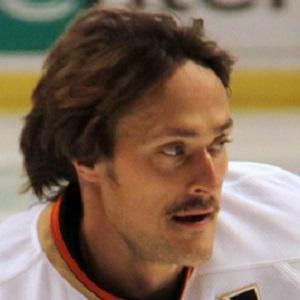 Prolific NHL scorer who helped lead the Anaheim Mighty Ducks to a Stanley Cup Championship in 2007. He retired in 2014, finishing his career with 684 goals and 1457 points in 1451 games. He played in the Finnish Elite League before joining the NHL. He scored 76 goals while tallying 132 points during the 1992-1993 season, his first in the NHL. In 2013, he became the oldest active player in the NHL and the last one drafted in the 1980s. He married Sirpa Vuorinen in 1996. He has three sons named Eemil, Eetu, and Leevi and a daughter named Veera. He and Paul Kariya made up a high-scoring duo for the Ducks for many years.